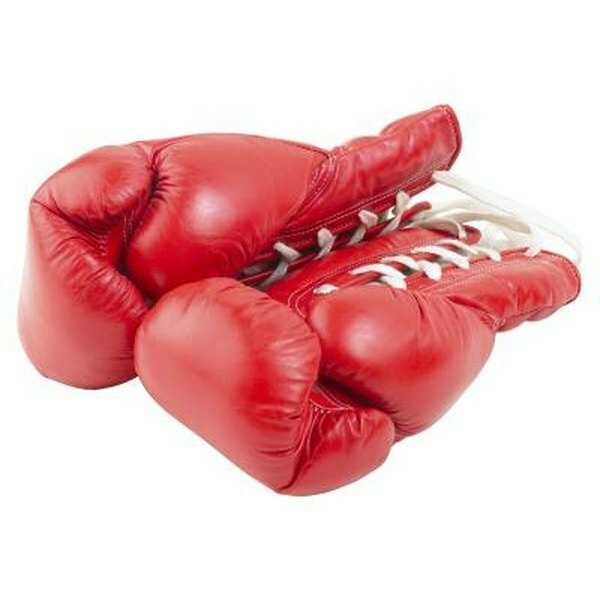 Boxing gloves, like all sports equipment, tend to get sweaty after a hard workout. Over time, if the gloves are not properly cared for, sweat will dry on them and begin to develop an odor, making the gloves almost unbearable to wear. Once gloves have begun to develop a smell, there are some tricks to remove it, though the best way to keep gloves fresh is to clean them after each use. Gloves that give off a strong odor are usually dirty inside and out. The outside of boxing gloves can be covered in any number of foul-smelling substances, including blood, sweat and dust. A washcloth and antiseptic spray are usually the best way to clean the outside of a pair of boxing gloves, as this will not only remove residue, but also kill germs and bacteria that could cause odor or mold. If the inside of the glove smells horrible, there are a couple of things you can do to reduce the odor. First, you should air the gloves out, preferably by a window or in front of a fan so there is a breeze. Second, either stuff the inside of the glove with a dryer sheet or a sock filled with cedar chips (which can be bought at pet stores as hamster bedding). The dryer sheet or the cedar chips should absorb the bad smells and leave a fresh scent behind. Many people think that throwing the boxing gloves in the washer would get bad smells out. While doing so will get rid of odors, it will also destroy the gloves. Never put boxing gloves in the washer or dryer, and never wash them with anything wetter than a damp cloth. The best way to keep boxing gloves fresh is to not let them get smelly in the first place. Wearing hand wraps while boxing will soak up most of the sweat that comes off your hands, and not allow it to accumulate on the inside of the glove. Airing out the gloves after each workout will also keep them smelling clean longer. After each workout, the outside of the gloves should be wiped down with an antibacterial spray or a damp washcloth. The less sweat, dirt and blood that accumulates on the glove, the better it will smell.